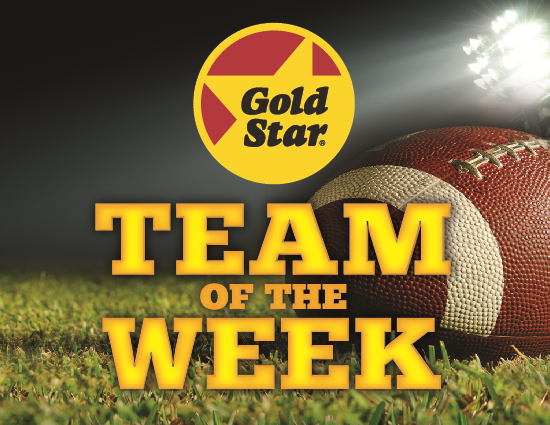 Gold Star Chili and TriStateFootball.com are partnering once this year to present the Gold Star Chili Team of the Week during the 2018 regular season. Each week 8-10 schools will be nominated from the Greater Cincinnati area to be included in an online voting poll to determine a winner. The voting is open now until Wednesday afternoon at 12PM Eastern. Voters can vote once per hour, per IP address. Once a team has won, they were ineligible to be nominated a second time. All of the winning teams will receive a trophy to be presented at their school by Gold Star Chili. Teams can only be nominated three times during the course of the season. The Rams looked impressive in their 38-21 defeat of Chaminade-Julienne in a key GCL Co-Ed bout. The Tigers wrapped up another perfect run the district by taking down Dayton, 62-6. The Cardinals clinched their 19th straight GMC title and 74th straight conference game as they took down Fairfield, 55-27. The Wildcats got a huge SWOC win to bolster their playoff resumes by defeating Mount Healthy, 38-14. The Tigers scored the go-ahead TD in the final minute as they beat North Harrison 22-14 to advance to Round 2 of the playoffs. The Eagles kept their post-season aspirations going as they held off a stingy West Clermont squad, 23-21. The Lions shut out their third team in four games as they took down North College Hill, 57-0. The Thoroughbreds claimed their first district title since 2015 as they knocked off Newport 40-12. The Eagles finish tied atop the district standings with a key district win over Holmes, 40-6. The Warriors won their eighth consecutive game by doubling up St. Franics DeSales, 28-14.